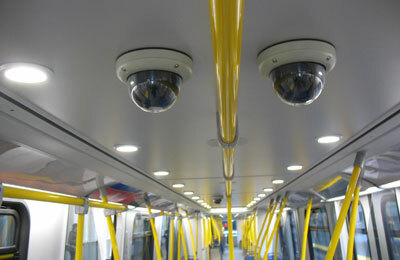 Video Surveillance in School Buses is quite important and also in Schools and Colleges. Thanks to Commissioner of Police (Traffic) M.A. Saleem for making it compulsory for all the School buses to have CCTV Cameras with GPS. Taking preventive measure against the crimes that take place is a wise decision. Most of the parents, these days, first check whether or not the school has CCTV Cameras in the school premises. From now on these parents should also look for the security solutions in the school buses. Thanks to the Bangalore Traffic Police that they have made it compulsory for all the school buses to have CCTV Cameras installed. Here is a news that we found at The Hindu that explains a lot. The city traffic police has directed all schools across the city to install CCTV cameras in vehicles that ferry children. Additional Commissioner of Police (Traffic) M.A. Saleem said the police would implement guidelines issued by both the Transport Department and the City Police Commissioner. All vehicles managed by schools to pick up and drop children should be installed with GPS and CCTV cameras, failing which the vehicle owners and the school concerned would be prosecuted in the court of law, Mr. Saleem said. Apart from ensuring round-the-clock security and background verification of the staff, Police Commissioner M.N. Reddi had also insisted on installing CCTV cameras and GPS facility compulsorily. We leverage a good amount of experience in offering CCTV Cameras for Schools and Colleges. And, we are looking for expanding our business in offering Video Surveillance in School Buses for the betterment of our own city. As it has become compulsory for all the schools to install CCTV Cameras in School Buses, we would look forward to provide affordable and quality services. For more details on Video Surveillance in School Buses, please write to us.